Well, folks, even in 1170 it seems they were hell-bent on giving out improbable excuses! The above is the Marmara earthquake of 1509. I couldn’t find a suitable image for an English event. What a tantalizing reference, but unfortunately, there is no further information in the book in which I found it – The Great English Earthquake by Peter Haining (which deals mostly with the major earthquake in 1884). As far as I recall, at this time Richard had returned to Sheriff Hutton after the Scottish campaign, so maybe he did not experience this earthquake personally. But he would have heard about it. 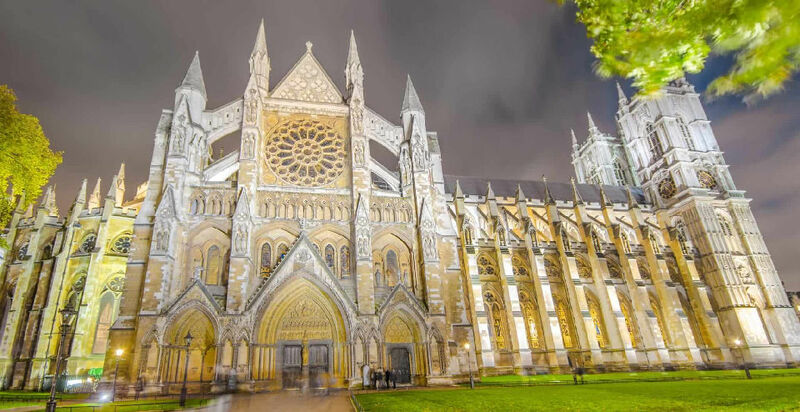 “. . .On the day of the first shock, John Wycliffe was being tried at Westminster for his opinions on the Bible, and the sudden shock caused the court to break up in alarm: thereafter the assembly was known as the ‘Council of the Earthquake’!. . .” The Church, of course, pronounced that the earthquake was God’s condemnation of Wycliffe. Another source tells that it was a 5.8 earthquake (I’m not sure how this can be stated as a fact) and the bell tower of Canterbury Cathedral was ‘severely damaged’. The six bells ‘shook down’. Anyway, according to Nigel Saul, Richard II was in Westminster during this period, so I guess he certainly felt the cataclysm! In my life I have only once experienced an earthquake. It was some time ago, and (I think) was centred off the coast of North Wales. My husband and I were in bed. It was morning, and we had yet to get up. The bed suddenly swayed backward and forward in a most peculiar manner. And the king’s hair seethed with lice at his coronation. . .! Do not read on if you’re squeamish about blood-sucking parasites. No, I’m not referring to Henry VII, but his equally usurping Lancastrian predecessor, Henry IV. When we think of medieval coronations, and see contemporary illustrations, we see the glamour, colour and solemnity of the occasion, hear the singing, smell the incense, observe the wonderful robes and so on. The last thing we modern folk would expect would be to learn that the new king’s head was infested with lice! Oh, yuk! But that is what was found at the coronation of Henry IV. It is not something I had heard before, but yesterday, on reading King Richard II by Bryan Bevan, I discovered: “It was fortunate for Henry that the sacred oil of Edward the Confessor was used during the anointing ceremony, but it was found that the new King’s head was full of lice.” And Adam Usk claimed that shortly after the coronation his [Henry’s] hair fell out, supposedly a result of lice. Another report says that he had his hair close-cropped because of head lice, which may explain the sudden baldness report. Although when his remains were examined in the 19th century, he was found to be completely bald, albeit with a full beard. This is how he appears on his circa 1437 tomb in Canterbury Cathedral. Yes, I know that such parasites were much more abundant in times gone by, but this must have been a bad case to warrant such specific mention. There is no excuse for Henry. Adult lice can be squashed and removed, even if the nits are a trickier matter. The necessary combs were available, so for a King of England to be crowned when he was that lousy and crawling is an awful indictment. It wasn’t as if he didn’t have an army of servants to attend to such matters! I cannot imagine his murdered predecessor appearing like that. Richard II was a fastidious man who took infinite care with his appearance.The first louse foolish enough to advance upon him would have been exterminated at first contact! I’m sure Richard would have had the shuddering habdabs if such an unwelcome visitor were to dare to sully his royal pate! 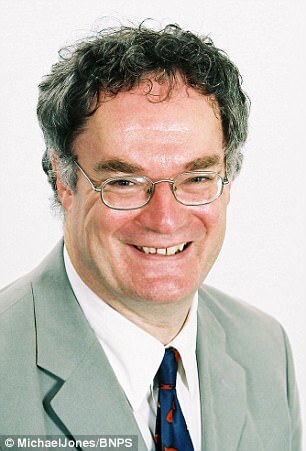 The nit comb must have been very regularly applied, to ensure such a thing didn’t happen. 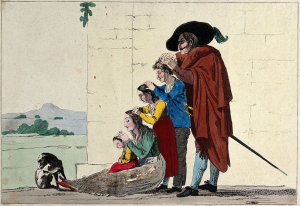 Lice were mainly associated with the lowest people in society. So much for Henry of Bolingbroke. But then, he was low. He, no more than Henry VII, had any business sitting on the throne, and both achieved their aim by the violent death of the rightful incumbent. According to http://nitwitslice.com/a-short-history-of-head-lice/ “…One myth tells that to lure the lice off of the scalp, one would make a fur vest and wear it throughout the day and night hoping lice would make their way onto the warm fur. As ridiculous as that may sound, with no real medical knowledge of how to alleviate the problem who knows how many medieval men or women may have actually attempted this practice…” Who indeed. A “cure” for head lice that has existed since at least 1526 (Treasure of Pore Men) recommends pounding olive oil with Rhenish wine and the unidentified “Aruement”, which could well be arrowmint, and applying it to the body. An alternative was to smear the body with grease from an ungelded pig, mixed with brimstone and quicksilver in Rhemish wine and arrowmint. It was suggested in The Castel of Helthe (1539) that eating dried figs breeds lice, since the dessicated fruit is by complexion so hot and dry. The above is all very well for the rich, but how many really poor people could afford such ingredients? I think the nit comb was probably the best they could do. Maybe such an implement was passed around as needed, which, of course, would ensure the transmission of the parasite. But then, transmission of this sort was not understood, although it was understood that “the homeless, the poverty-stricken, the overcrowded, and children suffered disproportionately from infestation”. So. . .can Henry IV be excused for turning up at his coronation in such a lousy state? No. Nits are sods to remove, but not the living adults. To get into such a terrible state of infestation, he cannot have done much about checking the parasites’ relentless advance. Perhaps he liked their company. Oh, I do love an opportunity to give Bolingbroke yet another thumbs-down! He had no right to Richard II’s throne, he stole it. The right should have passed down through the Mortimers from Lionel of Clarence, not through John of Gaunt. So it’s boo! hiss! to Henry IV. And his lice. The Fears of Henry IV, by Ian Mortimer. The Black Prince whitened at last….? On 8th June 1376, Edward, the Black Prince, died. 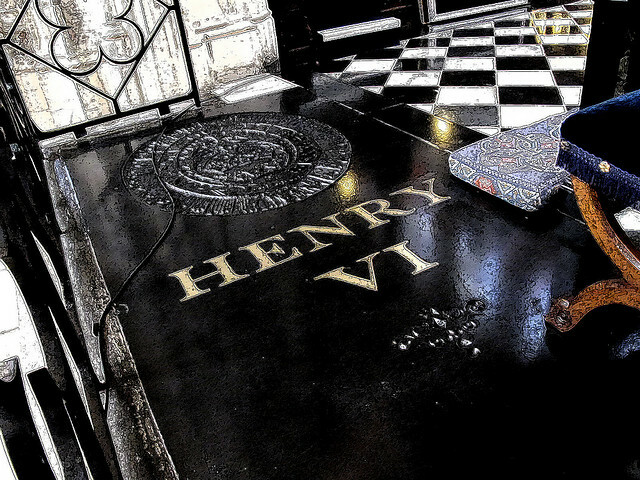 From then until 29th September his body lay in state in Westminster Hall, and then was taken to Canterbury Cathedral to be buried on 5th October at Canterbury Cathedral. His passing was greatly mourned through the land, and lamented because the elderly monarch, Edward III, was no longer the man he had once been, and the new heir was a little boy, the eventual Richard II. Not a satisfactory situation, with the prospect of a minority rule, with all the dreadful prospects that entailed. No one knows why Prince Edward was nicknamed the Black Prince (or when) but if something said at the time, by the then Archbishop of Canterbury, Simon Sudbury, can be taken at face value, it wasn’t because the Black Prince was of dark colouring. Sudbury said that although Edward was dead, he had left behind a fair son, his very image, as heir apparent. Right, before you all rush to draw my attention to the ambivalence of the word “fair”, let me point out that I did mention something about “face value”. So, if Sudbury was speaking of colouring, and linking father with son (Richard II), dark doesn’t enter into it. We all know Richard II was fair, as in blond, with a complexion that flushed easily. Edward was idolized in his lifetime, and there was really only one thing that has always marred and dogged (blackened? )his reputation. That was at the sack of Limoges on 19th September 1370, when Edward was the ruler of Aquitaine. He is accused of ordering the slaughter of 3,000 inhabitants, and has always been vilified for this. Yet in every other way he was lauded and admired. 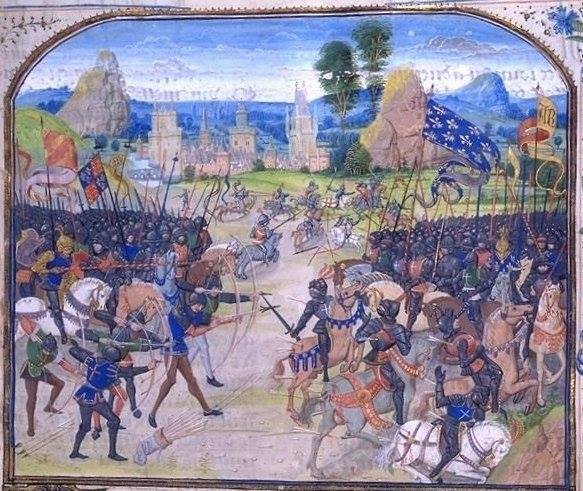 However, it now seems that new evidence has come to light in France, from a French chronicle, that it wasn’t the English who committed the massacre, but the French themselves, who were enraged because Limoges supported the English. This new information has been brought to light in Black Prince, a new biography by Michael Jones. To read more about the discovery (and decide whether or not to spend the published price of £30 to read the book itself – cheaper elsewhere, e.g. Amazon) please go here . Now, having said all that, I am pleased that new sources do appear from time to time, no matter how many centuries pass. So I have not given up hope that old documents, chronicles and rolls will turn up out of nowhere, proving that Richard III wasn’t guilty of all the crimes of which he’s accused. Not least the murder of his nephews. It’s waiting somewhere, folks. Don’t despair! CARDINAL JOHN MORTON’S TOMB CHAPEL OF LADY UNDERCROFT CANTERBURY CATHEDRAL. On Friday 13th June 1483 Cardinal Morton, along with others, was arrested at the Tower of London. 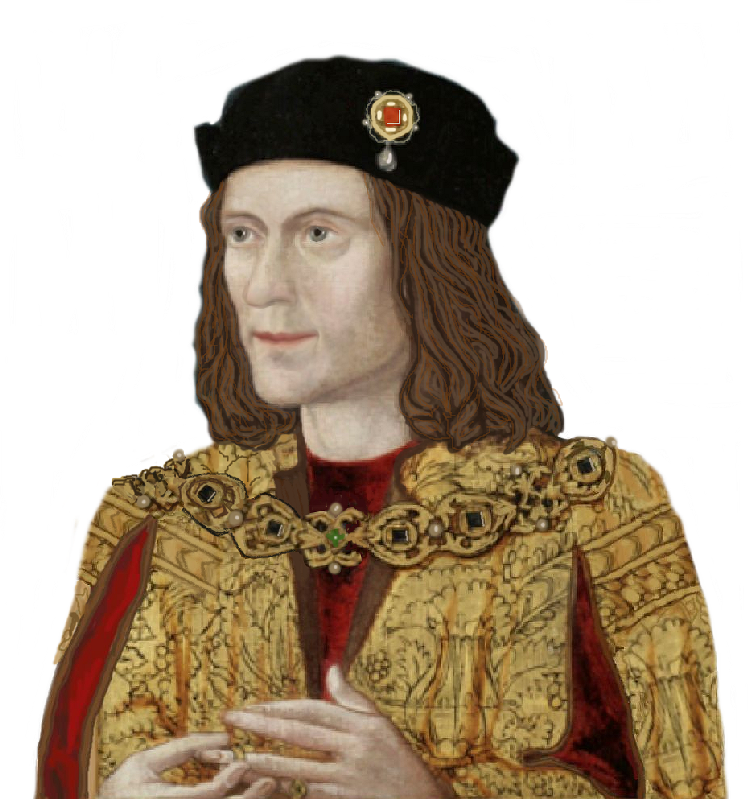 It is well documented the role Morton played in the downfall of Richard lll. Morton was Richard’s arch enemy and his deviousness, cunning and powers of manipulation being well known, there is no need to go into them here in detail, only to recap briefly on his enforced stay at Brecknock castle where he latched on to the flawed Buckingham’s shallow and vainglorious character (what were you thinking of Richard?!) 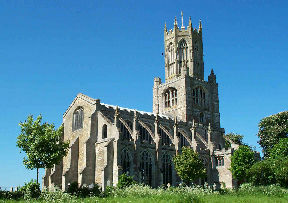 inveigling him to rebel and desert Richard, a result of the ensuing rebellion being that Buckingham was swiftly defeated, captured and ignominiously executed, while he, Morton, legged it to the Fens and his ‘see of Ely, where he found both money and friends’ (1) It should be noted that Margaret Beaufort’s estate at Collyweston was but a short distance of 40 miles from Ely. Morton then ‘sailed into Flanders, where he remained, doing good service to the the Earl of Richmond until the scheme at Brecknock had been realised and the Earl had become king of England’ (2 ). As Bishop of Ely Morton would have been very conscious of the sanctity of the Coronation ceremony but this did in no way deter him from playing a prominent role in the betrayal of King Richard. How he came to terms with his treachery is difficult to understand, and is of course something we will never know, but manage he did somehow and the rest is history. His achievements are likewise well known and numerous, including “Tudor” promoting him to the see of Canterbury and Lord Chancellor in 1487, eventually prevailing on the Pope to make him a cardinal , the conceiving of the infamous Morton’s Fork – although to be fair some attribute this to Bishop Fox (3) – and his patronage of the young Thomas More who served in his household as a page. Morton was without doubt an enormous influence in poisoning the young More against Richard. More later went on to write his ‘History’ which has proven to be extremely damaging to Richard’s memory as it is oft quoted by ‘historians’ who should know better. It is believed by some that it was in fact Morton who was the original author including the late Professor A F Pollard who opined Morton wrote a latin version which More translated later into English (4). It is easy to imagine, as he lay dying, after achieving what was a good age in those harsh times, that Morton felt rather pleased with himself for had he not been instrumental in achieving practically the impossible?..the slaughter of a rightful king and replacing him with someone with very tenuous claims to the throne. 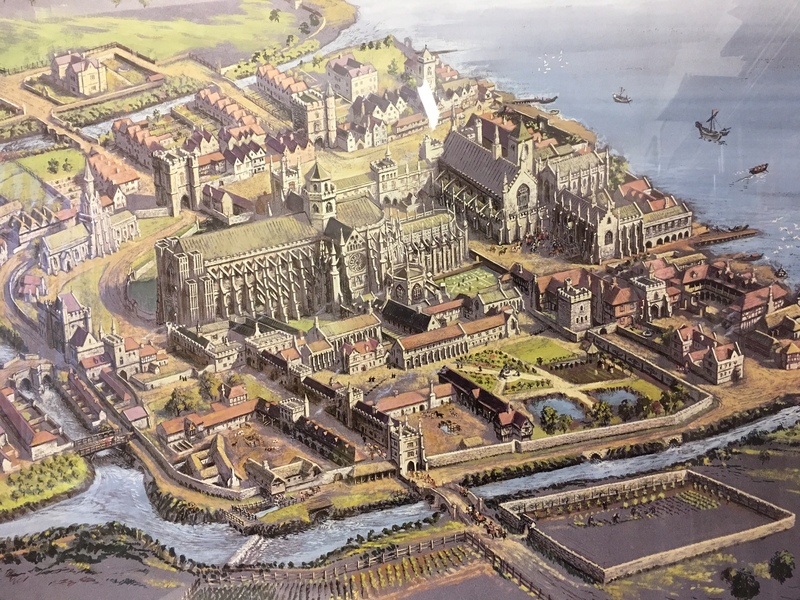 He had already made elaborate plans for where he wanted to be buried.in the Chapel of our Lady in the crypt of Canterbury Cathedral beneath the pavement of the western bay. 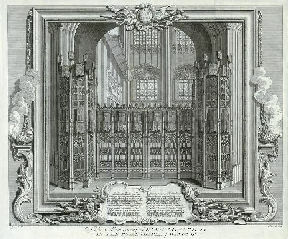 A splendid altar tomb/cenotaph was built nearby which incorporated Morton’s rebus of a bird (a mort) and a barrel (a tun), and the Tudor badges of portcullis and rose. And here he was laid to rest. As a footnote to this story in my delving around I think I may have come across a ‘secret’ portrait of Morton in the wonderful medieval windows of St Mary’s Church, Fairford, Gloucestershire. These windows have survived it is believed because they show hidden portraits of the Tudor royal family and important members of Henry Vll’s court. One portrait is described as being that of Wolsey…but I believe this is erroneous..why would Wolsey’s portrait being included with those of Henry Vll and his family including Henry Vlll as a child. I have since compared it with that of the wooden bosses thought to represent Morton at Bere Regis Church. I show them here for comparison. Any thoughts? The portrait in the nave of St Mary’s Church described as being of Wolsey? But could it possibly be Morton? One of the bosses on the roof of Bere Regis Church thought to represent Morton for comparison. (3) W E Hampton Memorials of the Wars of the Roses p96. ( 4) A F Pollard Luminarium Encyclopedia. On line article. (5) C Eveleigh Woodruff.M.A. 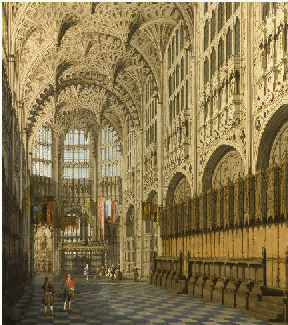 The Chapel of our Lady in the Crypt of Canterbury Cathedral p. 158. 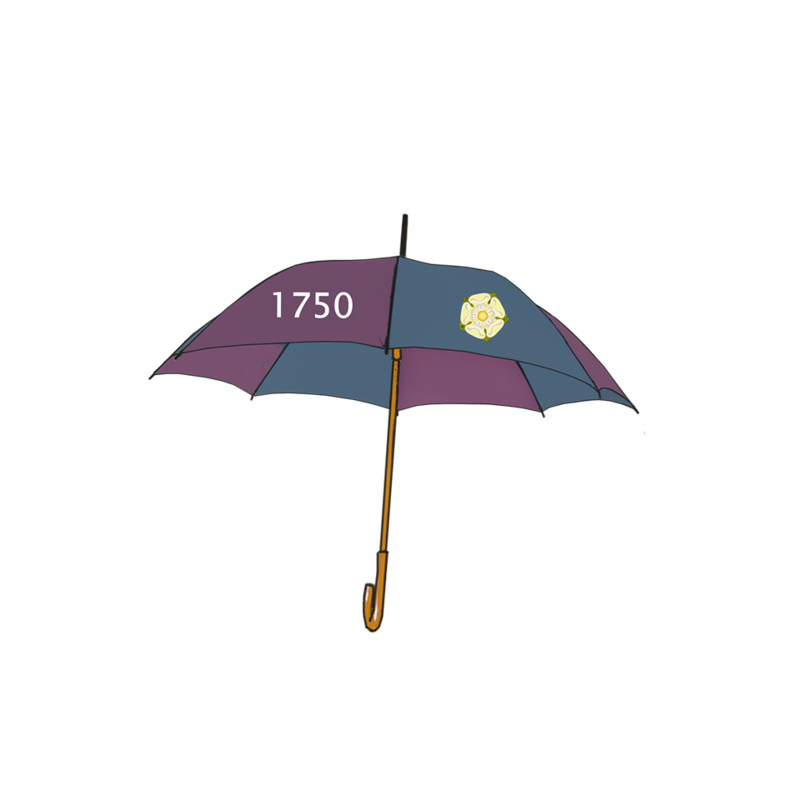 (7) I am most grateful for this information kindly given to me by Mr J Reed, Assistant Curator of the College Collections and Museum by the Association, Stonyhurst College.